Go to your Google Calendar (http://www.google.com/calendar/a/lehigh.edu). 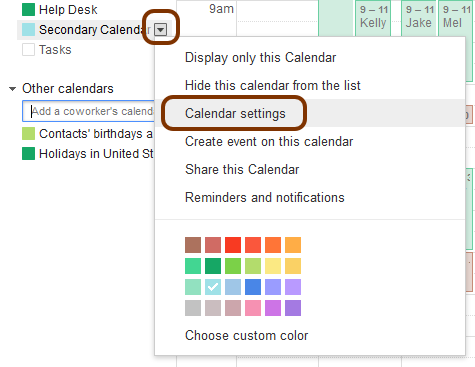 In your calendar list on the left side of the page, click the down-arrow button next to the calendar you'd like to share and select, Calendar Settings. In the Calendar Address section, click the HTML icon, a pop-up window will open with your calendar's URL. Provide users who don't have Google Calendar with this URL to access your calendar. NOTE: The link will NOT work unless you have made your calendar public.